NBC has announced that their new drama, Do No Harm, will debut at 10pm on Thursday, January 31st, following the series finale of 30 Rock. The peacock network originally ordered 13 episodes but recently trimmed that number down by one. Do No Harm will replace the network’s under-performing newsmagazine, Rock Center with Brian Williams, which will move to Friday nights at 10pm. That will push Dateline to 9pm and bump Grimm from the schedule until March 8th. UNIVERSAL CITY, Calif. – November 30, 2012 – NBC will premiere the new drama “Do No Harm” on Thursday, January 31 (10-11 p.m. ET) following the hour-long series finale of the Emmy Award-winning “30 Rock” (8-9 p.m. ET) earlier that same night. In addition, “Rock Center with Brian Williams” will move to Fridays beginning February 8 (10-11 p.m. ET) following “Dateline NBC” (9-10 p.m. ET). Details of the finale of “30 Rock” will be provided later. “Grimm” will return to the schedule on Friday, March 8 (9-10 p.m. ET). In “Do No Harm,” Dr. Jason Cole (Steven Pasquale, “Rescue Me”) is a highly respected neurosurgeon who has it all – a lucrative career, confident charm, the gift of compassion. But he also has a deep, dark secret. One morning when he wakes up disoriented in a wrecked hotel room amidst several near-naked women he’s never seen before, he knows one thing: it’s happening again. Every night at the same hour, something inside Jason changes, leaving him almost unrecognizable – seductive, devious, borderline sociopathic. This new man is his dangerous alternate personality who goes by the name of “Ian Price.” For years he’s battled Ian, keeping him in check with a powerful experimental sedative. But now his – their – body has developed a resistance to the serum, setting Ian free once again. And to make matters worse, after being suppressed for so long, Ian’s hell-bent on taking revenge on his oppressor. With everyone Jason cares about at risk – patients, friends, co-workers and even the woman he loves – he’s got to stop Ian once and for all. Will they find some common ground, or will they bring each other down? Hell hath no fury like an alter ego scorned. Also starring are Alana De La Garza (“Law & Order”), Michael Esper (“A Beautiful Mind”), Ruta Gedmintas (“The Borgias”) and Phylicia Rashad (“The Cosby Show”). “Do No Harm” is produced by Universal Television and Traugott Company. The executive producer/writer is David Schulner (“Desperate Housewives,” “The Event”). Peter Traugott (“Ringer”) and Rachel Kaplan (“Ringer”) also are executive producers. Michael Mayer (NBC’s “Smash”) is the co-executive producer and director. In its seventh season, the critically acclaimed and multiple award-winning comedy series “30 Rock” is told through the comedic voice of Emmy and two-time Golden Globe winner Tina Fey as variety show producer Liz Lemon. The series also features two-time Emmy and three-time Golden Globe winner Alec Baldwin as top network executive Jack Donaghy and Emmy nominee Tracy Morgan as Tracy Jordan, the unpredictable star of Lemon’s variety show, “TGS with Tracy Jordan.” Lemon constantly has her hands full, juggling corporate interference from Donaghy and off-the-handle star antics from Jordan, all while attempting to salvage her own personal life. Also rounding out the cast are three-time Emmy nominee Jane Krakowski as Jenna Maroney, the co-star of “TGS”; Scott Adsit as the variety show’s producer Pete Hornberger; Emmy nominee Jack McBrayer as Kenneth, the over-eager NBC page; Judah Friedlander as Frank, the sardonic slacker on the writing staff; and Keith Powell as Toofer, the sophisticated yet sarcastic writer. Overall, “30 Rock” has garnered 90 Emmy nominations, resulting in 14 wins. In 2009, the show won its third consecutive Emmy for Outstanding Comedy Series and also held the record for most comedy program Emmy nominations in a single year with 22 nominations. “30 Rock” has also won a Golden Globe for Best Television Series Comedy or Musical, a Screen Actor’s Guild Award for Outstanding Performance by an Ensemble in a Comedy Series, three Producers Guild Danny Thomas Producer of the Year Awards in Comedy Episodic Television and three Writers Guild Awards (WGA) for Writing for a Comedy Series and three WGA Awards for Episodic Comedy, among others. “30 Rock” is from Broadway Video & Little Stranger, Inc. in association with Universal Television. The executive producers are Lorne Michaels (“Saturday Night Live”), Tina Fey, David Miner, Marci Klein (“Saturday Night Live”), Robert Carlock (“Friends”), Jeff Richmond and Jack Burditt. 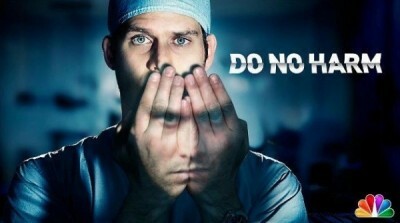 For embeddable clips from “Do No Harm,” please visit NBC.com’s official show site: www.nbc.com/do-no-harm/. Please like us on Facebook at https://www.facebook.com/NBCDoNoHarm and follow us on Twitter https://twitter.com/NBCDoNoHarm. What do you think? Do you plan to watch Do No Harm? Do you think it will be a hit? More about: 30 Rock, 30 Rock: canceled or renewed?, Do No Harm, Do No Harm: canceled or renewed?, Grimm, Grimm: canceled or renewed?, Rock Center with Brian Williams, Rock Center with Brian Williams: canceled or renewed?